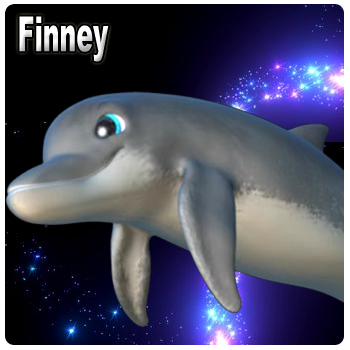 Our beloved hero and protagonist, Finney is the big-hearted, sky-flying Bottlenose dolphin destined to save the seas. Though small and cross eyed, spirited Prince Finneus was born to fly. With flippers for wings and a tail made for breaching, Finney has a distinctive starburst birthmark on his chest and inexplicable sonar and leaping abilities far above the rest. The story follows Finney through numerous trials of faith and courage as he rises from scorn and rejection to triumph and redemption.